The 2N® Helios IP Force IP intercom features a sturdy aluminium structure, ensuring maximum resistance to dust, water, and mechanical damage, and offering the highest possible resistance – IP 69. Thanks to that, this door intercom is an ideal solution even for extreme conditions. 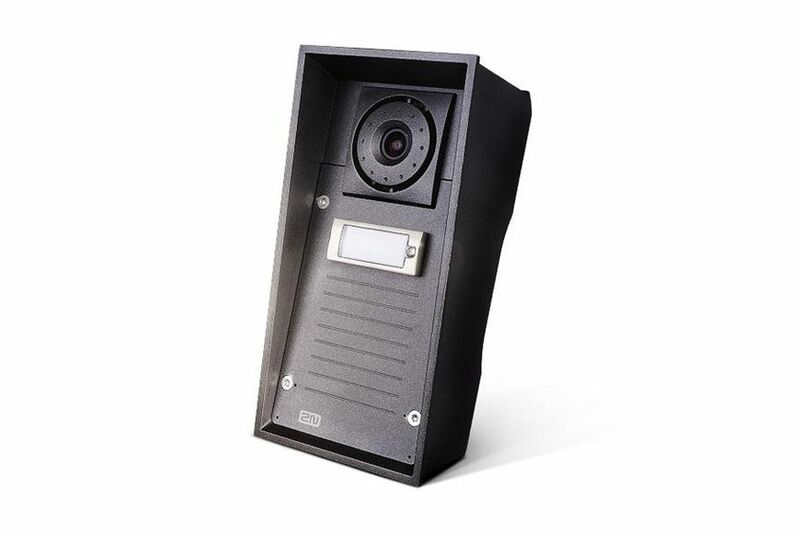 With the 2N® Helios IP Eye pop-up application, which can be downloaded free of charge, you can have a visual overview of everyone coming to your door, even while you are not at home or in the office.